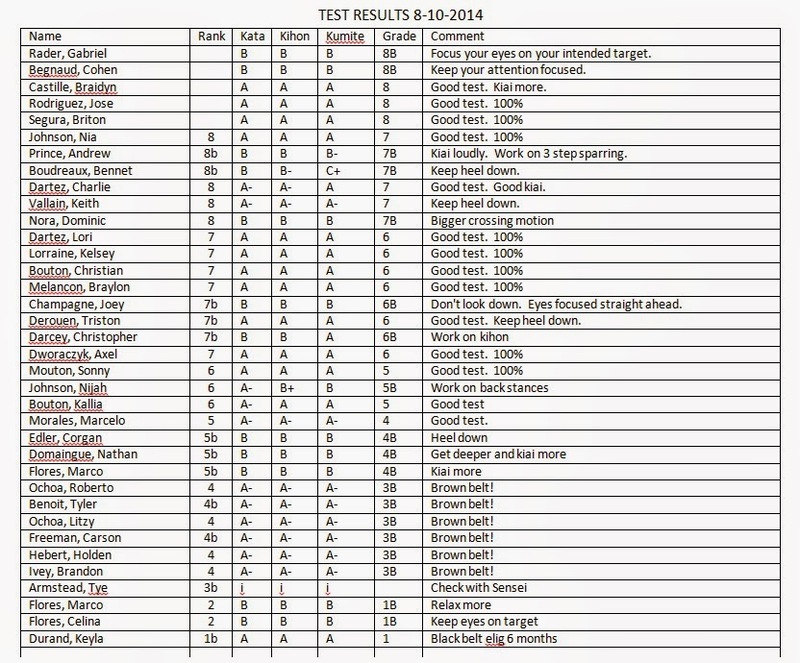 Here are the test result from the 12-6-14 kyu test. If you click on the image it will become larger and easier to read. I thought everyone did very well. 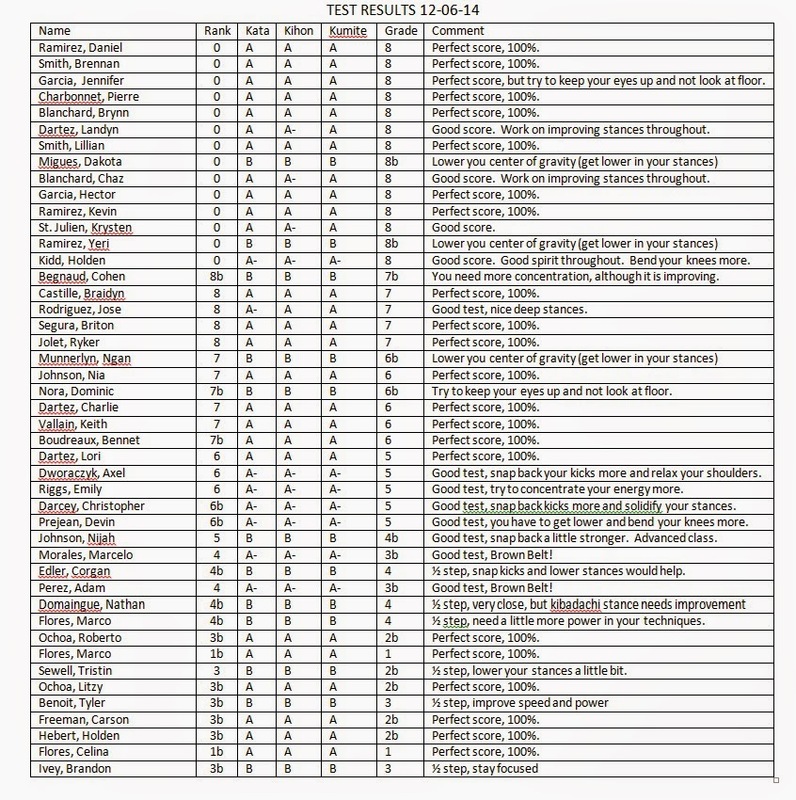 Of the 45 testing, 22 made perfect scores, so that is an excellent result. Furthermore, no one failed. Some of the students, particularly the younger ones and the higher ranks, only made one half steps. In a couple of instances this may have resulted in you not getting the next color of belt you were testing for. If this happened, remember that you are closer now than you were before and if you make a small improvement you will achieve your goals next test. Endeavor, whether you made the grade you were trying for or whether you were disappointed in your result and you will always come out ahead in Karate. 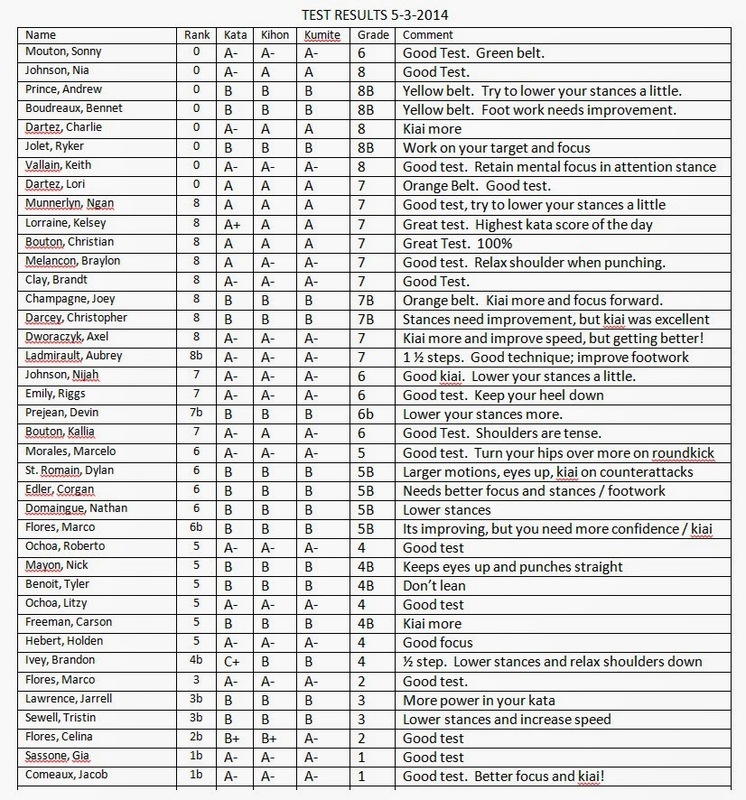 If you wonder why you made a certain grade compared to others in your class or group, examine what they do that you don't. Do they train harder or concentrate more or do they attend special outside events like camps and tournaments that give them extra training? All of these things can make a difference. 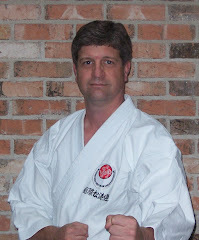 Just work hard and stick with it and you will go very far in your study of Karate. Here are the results for the kyu test in Lafayette. Please click on the image to make it larger. Everyone did well and made some progress and several new brown belts were awarded. Speaking of awarding new belts, Brandon Kongphongmany, Caleb Helms and Braydon Kongphongmany all received their Shodan (black belts) at the Acadiana Training Camp associated with this weekend test. I appreciate all the help with the camp and all the participants from New Iberia. It was a very memorable camp and everyone who did it seemed to improve their technique. Here are the results of the latest Kyu exam. Everyone made some progress and that is the important thing. I appreciate the way you all were very well behaved and respected the tests of your fellow students. Stay focused more on your actual test, especially the younger people. Your certificates and belts will be awarded during your regular class next week. Start learning your new Katas immediately. If you click on the image it will become larger and easier to read. Congratulations to all that participated. 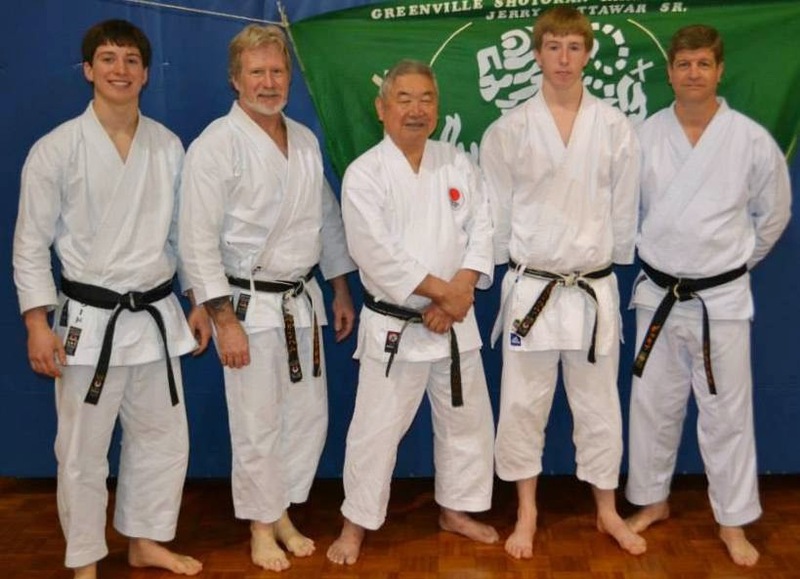 Here is the NIKI group that attended the Greenville camp this year with Sensei Mikami. Everyone enjoyed the camp very much, as usual. It has become a tradition to have Sensei pose with campers for pictures at this camp. Sometimes at the summer camps or the Lafayette camp we can occasionally get pictures with Sensei, but not in such an organized way routinely. Jerry Kattawar Jr. does an excellent job of hosting this important JKAAF camp.